United States Marines Veteran and owner of Advanced Tree Service Will Danielson, would like to welcome you to our site. 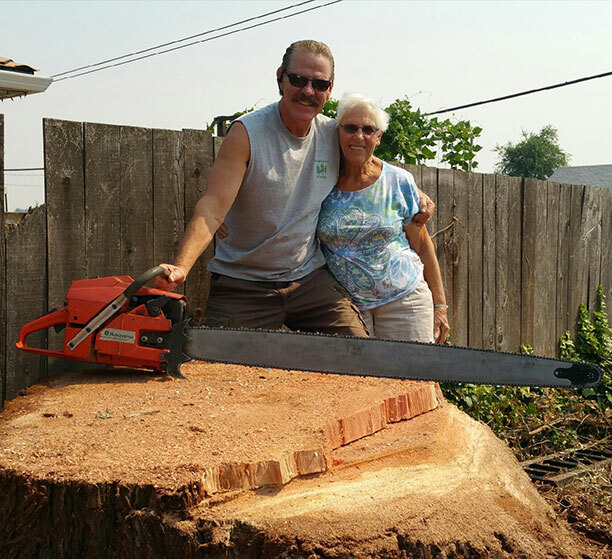 Advanced Tree Service has been Southern Oregon’s one-stop shop for residential and commercial tree service for over 20 years. If you’re a home or business owner and have a tree that needs trimmed, pruned, grinded, or removed, consider yourself in luck. Our team is specialized in each of these services, and we have helped thousands of residents with their tree needs over the years. Whether the job calls for a bit of minor maintenance or a complete tree landscaping overhaul, our crew is fully equipped and trained to make short work of your Medford residential or commercial project. At Advanced Tree Service we take pride in our work and aren’t happy until our customers are satisfied. Professional service, high quality workmanship and customer satisfaction has and always will be our top priorities. If you are dealing with tree probelems and need a local & licensed tree of tree professionals to take a look, or give you a second opinion, call us today. We specialize in residential, commercial & emergency tree services in Medford, Ashland & surrounding Southern Oregon areas. Most people underestimate the importance of routine tree trimming and pruning. In our line of work, this is what we call essential preventative maintenance. The two things your trees need to grow and stay healthy and strong are sunshine and rain, but sometimes not every limb gets enough access to light. By pruning overgrown branches that are interfering with the development of fellow, younger limbs, you are allowing the tree to reach its maximum growth potential. Likewise, trimming is vital for getting rid of what we call “dangerous limbs,” or those that pose hazards to our clients and their properties. Branches that have grown too close to Medford rooftops and power lines, as well as rotted ones that are on the brink of falling need to be removed immediately for safety reasons. Advanced Tree Service is proud to serve the residential tree care needs of Medford, Ashland and the beautiful surrounding Southern Oregon area. Our team is highly trained & experienced to handle any of your residential tree service needs, anytime you need us! Keeping your trees and landscaping looking nice outside of your commercial building is very important. The first impression a lot of customers and potential customers get is based on how your building and the surroundings look. Call us & let us help you! Storms happen and in Southern Oregon we have had some pretty decent wind and rain storms recently. When these storms hit, they can cause havoc to your trees, even causing them to get damaged or fall. Advanced Tree Service is here 24/7 for your service needs! Trees require regular prunings, not just to keep them beautiful, but also to keep them healthy. Our tree service provides expert tree trimmings designed to help arbors withstand even the worst Seattle weather. Contact us today for a quote at 541-621-9460 or click here to contact us. Fungi, insects, and disease all love the Southern Oregon climate, and of course its trees! Our popular annual and semi-annual tree sprayings are designed to prevent and treat infections of all kinds. Contact us today for a quote at 541-621-9460 or click here to contact us. Humps of stumps and tree roots can easily be ground down to flat planting areas. Front yards or back yards—we have three different size grinders to fit the need. Contact us today for a quote at 541-621-9460 or click here to contact us. Nobody likes to see a tree removed, but sometimes there simply isn’t an alternative. When your trees need to be taken down, our experts can get the job done quickly and safely. Contact us today for a quote at 541-621-9460 or click here to contact us. Keep your trees and landscape beautiful, healthy and vibrant with high, quality dependable maintenance services from Advanced Tree Service & Landscaping. Contact us today for a quote at 541-621-9460 or click here to contact us. When disaster strikes, there is never any time to waste. Trees are often left in bad shape after storms, and they can pose major risks to your property and safety if not addressed as soon as possible. Contact us today for a quote at 541-621-9460 or click here to contact us. Whether you are a business or home owner seeking to improve your current property or creating new features you can count on Advanced Tree & Landscaping Service Medford Oregon, we have been servicing Medford Oregon and suurounding areas for decades and look forward to the opportunity to service your Medford lanscaping needs. Contact us today for a quote at 541-621-9460 or click here to contact us.